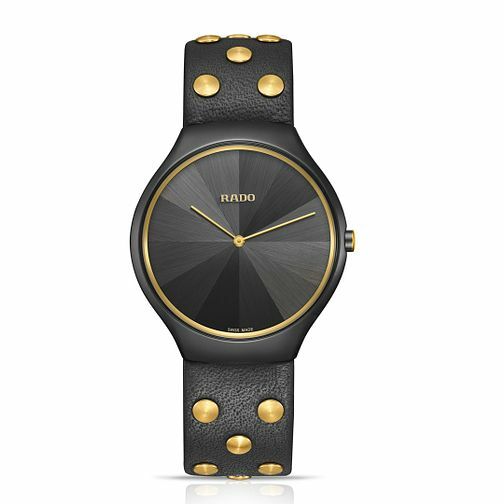 RADO has collaborated with the award winning British designer, Bethan Gray to produce a limited edition RADO True Thinline watch. Limited to just 1001 pieces, this sleek model is one not to miss out on! A matt black high-tech ceramic case presents a unique marquetry pattern dial, complete with two thinline gold tone hands. This timepiece is finished off in style with a black riveted leather strap with gold coloured stud embellishments.